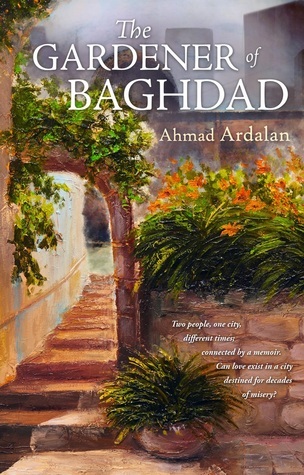 Pryor Thoughts: "The Gardener of Baghdad"
I'm not sure who among our Raleigh book club suggested Ahmad Ardalan's "The Gardener of Baghdad but in due coursed I took up and read. An apparently self-published romance principally set in 1950s Baghdad, the author tells a tale within a tale of a contemporary book shop owner who discovers a hand-written manuscript between the covers of what he had believed was part of the shop's antiquarian collection. Caught up the account of a young Ali's childhood in Diyala, his move to Baghdad where he quickly became a renowned designer of gardens, met and fell in love with the beautiful daughter of a British general, and all that followed, Adnan decides he must find out what became of Ali because Ali's account ended abruptly on July 13, 1958, the date of the Baathist revolution that overthrew Iraq's monarchy. Adnan manages to track down Ali's now-elderly cousin, who had featured in the manuscript, who fills in some of the details of the story only to conclude that no one knows what happened to Ali during the revolution but that most believe he died in a fire. The cousin directs Adnan to Ali's widow, the general's daughter, who now lives in the UK. Upon reading the manuscript herself, she returns to Baghdad to thank Adnan for getting Ali's manuscript to her. Then, on their way to a local hotel for lunch, they cross paths with Ali who, while not having died, has lived since then in a state of amnesia. Too predictable to suit my taste, Ardalan's book is a modest first attempt. Far too much telling and not enough doing, a good workshop would have helped "The Gardener of Baghdad." I had hoped to learn more something of an era of modern history about which I know little and, while I picked up some historical details, I don't feel that I understand Iraq much better for having read the book. Nonetheless, Ardalan clearly loves his home city to which he dedicated the novel. While I don't recommend "The Gardener of Baghdad," I suspect there's an audience who will find its tale of irrepressible love in a far-away setting of interest.